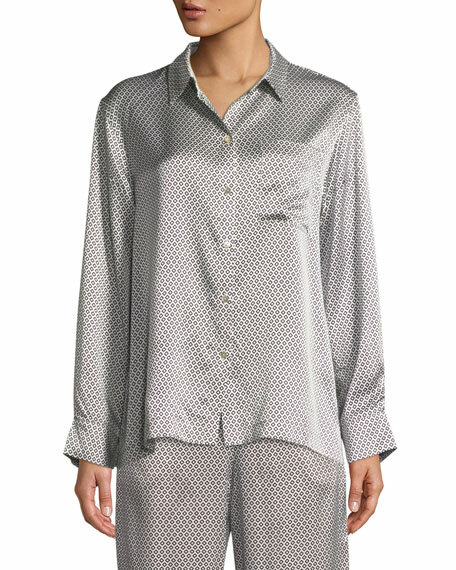 Asceno pajama top with geometric pattern. For in-store inquiries, use sku #2510213. F.R.S For Restless Sleepers robe top in silk twill with peacock and flower print and solid border. Shawl lapel; wrap front. Long sleeves; French cuffs. Self-tie sash. Hip patch pockets. Straight hem. Acetate/silk/polyester. Made in Italy. 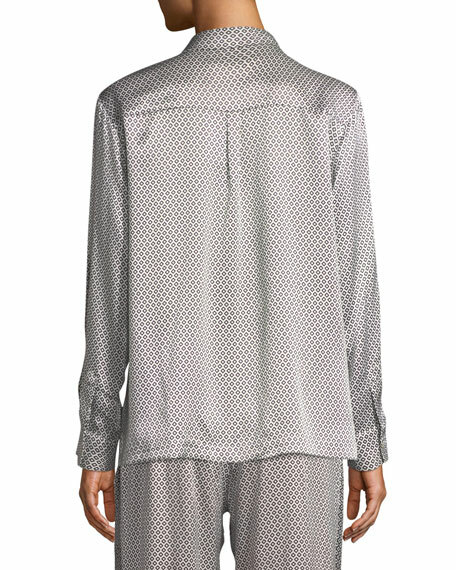 Fleur Du Mal pajama-style top in leopard-print jacquard. Notched lapels; snap front. Long sleeves. Chest welt pocket. Relaxed fit. Straight hem. Cupro/viscose; combo, polyester. Dry clean. Imported. Hanro "Silea" shirt trimmed with in delicate Leavers lace. Perfect for layering; can be worn as outerwear. Scalloped scoop neckline. Long sleeves. Fitted silhouette. Straight hem. Modal/spandex/silk/cashmere. Made in Portugal. 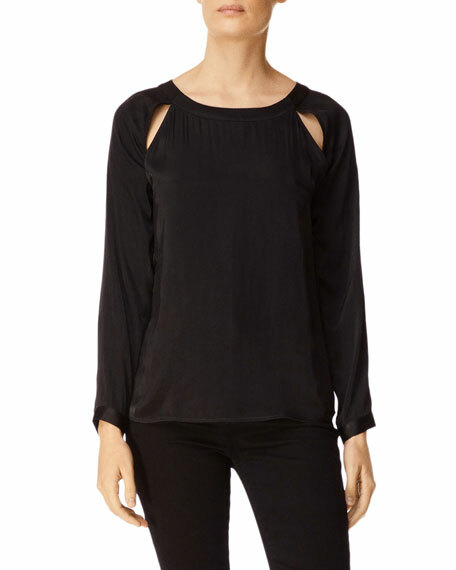 J Brand "Emilia" top with twisted back detail & cutouts. Approx. 23.5"L from shoulder to hem. Crew neckline. Long sleeves. Relaxed fit. Straight hem. Slipover style. Polyester. Imported.